Two Russian military planes delivered troops and equipment to Venezuela over the weekend, Russian state news agency Sputnik reported Sunday. "Two Russian planes arrived in Venezuela on Saturday with equipment and personnel to fulfill technical military contracts," the agency reported on the Spanish-language version of its website. It gave no other details but quoted an unnamed official from the Russian embassy in Caracas saying "there is nothing mysterious" about the flights. Social media and non-state Venezuelan media picked up the information and posted pictures of the planes at the airport. One picture of a Russian-flagged aircraft posted on social media showed men in uniform clustered around it. An AFP journalist early on Sunday saw one of the planes on the tarmac at Maiquetia airport, with a Russian flag on its fuselage. It was guarded by a contingent of Venezuelan National Guardsmen. Venezuelan authorities offered no information about the flights. The Russian embassy in Caracas declined to comment to AFP on the reports. Russia and China are the main allies of Venezuela. Both have lent billions of dollars to the oil-rich South American country, propping up the anti-US government of President Nicolas Maduro. 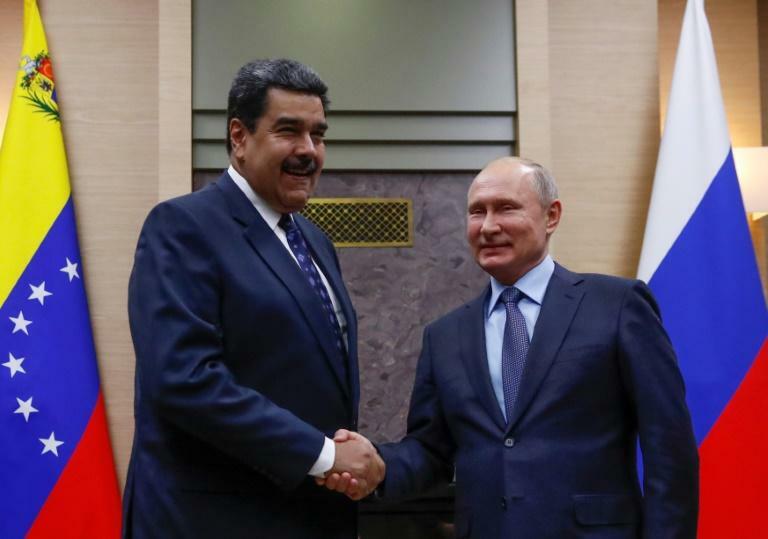 Russia has also vocally opposed US moves to sanction Maduro and his government, and to recognize opposition leader Juan Guaido as Venezuela's interim president. On April 28, US sanctions are to jump up a level with a ban on crude imports from Venezuela. Historically, the US has been Venezuela's biggest oil buyer, and the new sanctions are expected to severely crimp the Maduro government's already badly diminished finances. Any Russian foothold in Latin America, especially Venezuela, would alarm the US military. It would also be a political test for Trump, who has routinely avoided criticizing Putin.